For more than a century, Cuba has mesmerized the world, beckoning visitors to its vibrant shores and the rich fertile soil that has earned the island the little-known name of the “Violet Isle.” It is a land of captivating beauty, majestic wonder, and alluring mystique, one whose magic and mysteries are slowly revealed through the work of artists, filmmakers, and musicians. 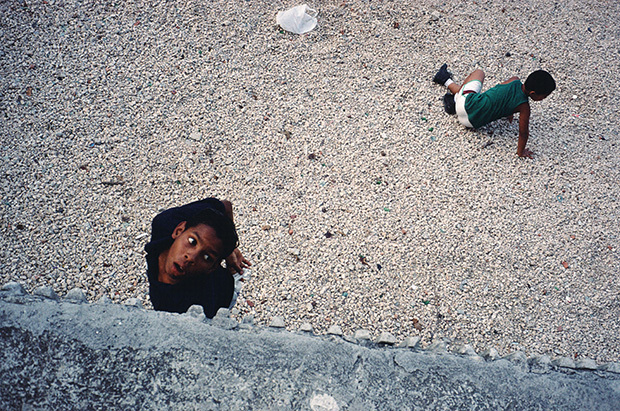 Over a period of 15 years, American photographers Alex Webb and Rebecca Norris Webb made 11 trips to Cuba, each drawn to difference elements of this multi-faceted gem. 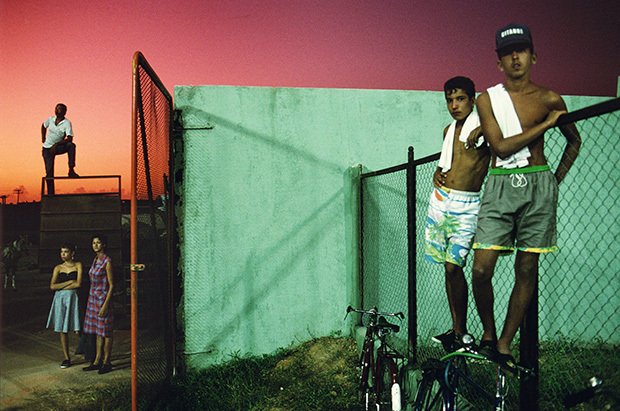 Alex Webb explored the country’s street life, capturing scenes of everyday life set in a prism of vivid colors that glow under the Caribbean sun, while Rebecca Norris Webb was drawn to the resounding presence of animal life, photographing tiny zoos, pigeon societies, and personal menageries. The result is Violet Isle (Radius Books), their first collaboration. 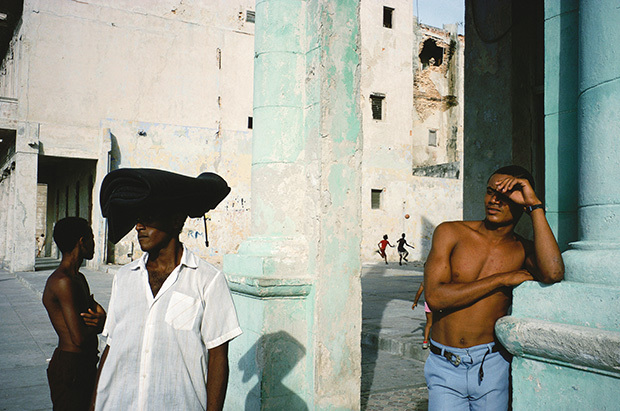 First published in 2009, the book is a photographic duet that pairs two distinct but complementary visions of Cuba at the turn of the millennium. The book, long unavailable, has just been re-released. We speak with the authors here about their fresh take on a much-photographed land, giving us new perspectives of life on the Violet Isle. 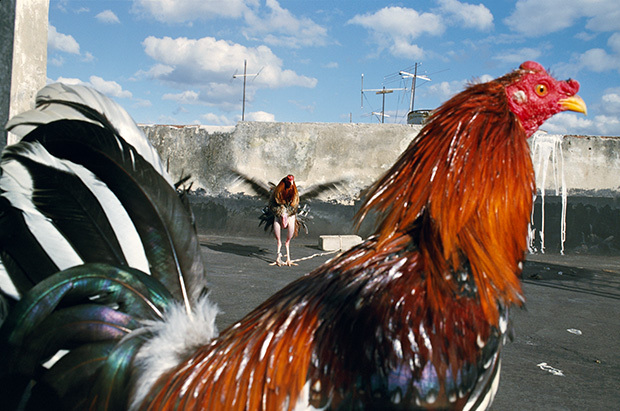 Cuba has assumed mythological status, and attracted countless photographers over the years. Could you speak about the key elements of Cuban life that inform your response to it? 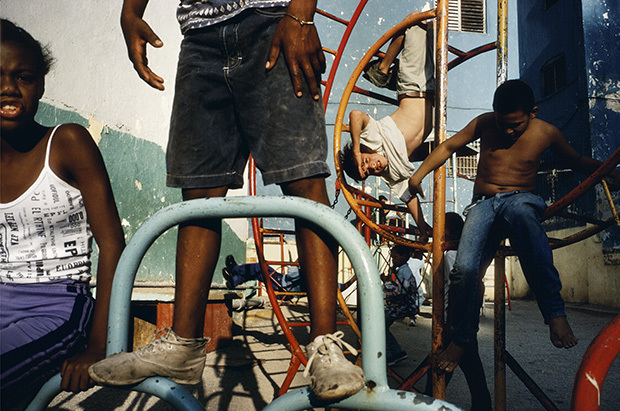 ALEX WEBB (AW): Whenever I photograph, wherever I go, I try to approach the world with as few preconceptions as possible. While photographing Cuba, I endeavored to respond simply on my nerves, spontaneously and immediately. Ultimately I was drawn to the ambiguity of the island—that sense that with each trip to Cuba we took, instead of knowing more about the island, we seemed to understand less. The island remained—and remains—a mystery. Our book embraces that notion. REBECCA NORRIS WEBB (RNW): I was startled to discover collections of animals throughout the island—from private menageries to pigeon societies to local natural history museums with homemade displays. 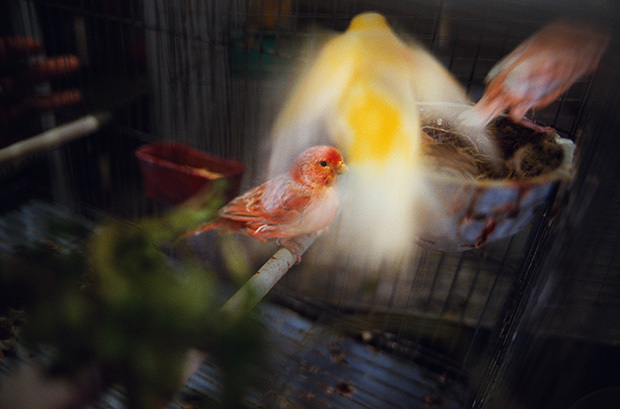 Over time, I slowly began to notice that birds were the most common creatures in these menageries. This made me wonder: Does this have something to do with Cubans’ longing for flight in a country where so few people are allowed to travel? 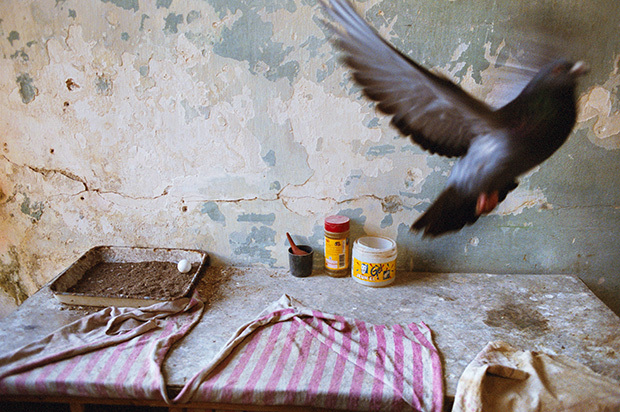 Thanks to the graciousness of the many Cubans who’d invited me into their lives to photograph their collections of roosters, pigeons, lovebirds, and other birds, I managed to happen upon the book’s central metaphor. In his essay, Pico Iyer describes you, Alex, as a “shadow sociologist.” How does the study of street life shape your experience of Cuba? AW: While walking the streets of Cuba, I was struck by the sense of an island existing out of time, as if in its own bubble, particularly the small villages in the countryside. Rebecca, your photographs of animals remind me of insects caught in amber or flowers pressed inside books. Could you speak about how Cuba revealed itself through its marvelous fauna? RNW: Beautifully said. It often seemed to me as if the natural world of Cuba had been caught in the amber of an earlier era. And environmentally, this looks to be quite auspicious. Scientists now think Cuba may be one of the most protected of the Caribbean islands ecologically, because of the dearth of plastics and other pollutants. Could you speak about how the concept of a duet informs your approach to bookmaking? AW: Violet Isle was Rebecca’s and my first collaboration. However, the project did not begin as a collaboration. Violet Isle started out as two separate projects, which we’d been working on separately for more than a decade. 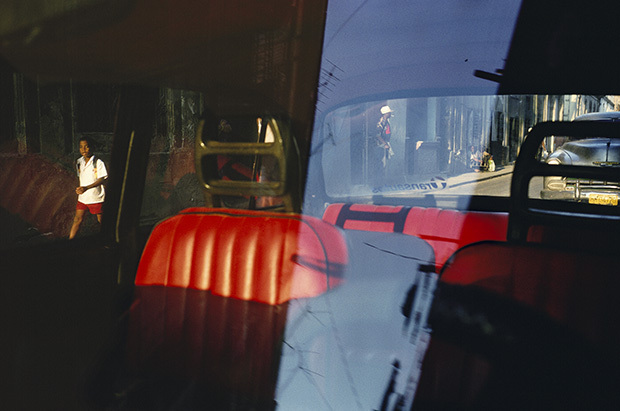 I was photographing the streets of Cuba, very much in the spirit of much of my earlier work—allowing the rhythms of the street to guide me. 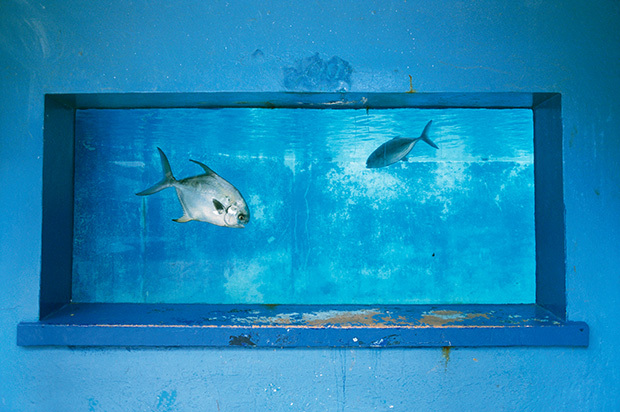 Rebecca, meanwhile, had discovered all sorts of quirky collections of animals all over the island, something she hadn’t seen to the same degree elsewhere in the world while working on her first book, The Glass Between Us. After our 10th and penultimate trip to the island, for some reason we hit on the notion of combining the work. RNW: Interweaving our photographs was a kind of revelation. We discovered that our photographs began to speak to one another in surprising ways. Ultimately, we found our duet of photographs created a more multilayered portrait of Cuba than either of our visions would have done solo. How does the process of editing and sequencing the photographs reveal things you could only see when looking at the work as a book? AW: This was our first project with the designer David Chickey, who is the Creative Director of Radius Books. David has the unique ability to get inside the notion of a book, so that the design specifically reflects the nature of each project. So the book’s cardboard slipcase refers to a tradition of handmade bookmaking in Cuba. At Ediciones Vigia, in Matanzas, Cuba, they make books out of ordinary, found materials: cardboard, string, shoeboxes. They even write books on kites and umbrellas. The cardboard also suggests that sense of Cuba—especially Havana—as worn by time. 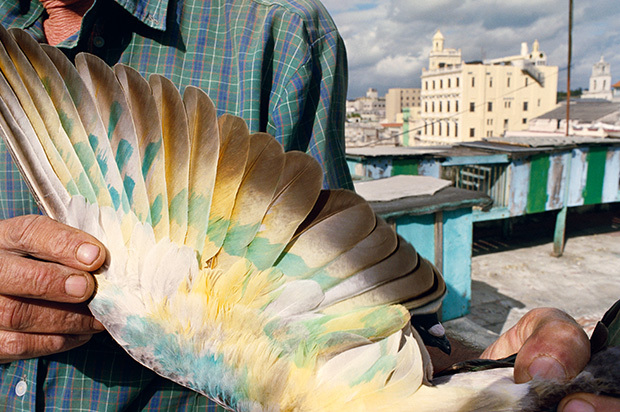 In addition, when one pulls the book out of its slipcover—and then opens the french fold of Rebecca’s cover image of the colorful pigeon wing—there is an explosion of color, which also seems very Cuban. RNW: Violet Isle is also a “duet” in many different ways—a “duet” between a man and a woman, between Cuba and the U.S., between Spanish and English—and David’s design echoes this multilayered notion of duet. For instance, the English text is in gray, while the Spanish is in violet. And the book has two afterwords, one by us, and one by the noted travel writer Pico Iyer. In thinking about how Cuba has transformed since you first began making these photographs, could you describe the fundamental aspects of the people and the place that remained consistent over the years? AW: Clearly since the early 1990’s, when Rebecca and I first visited Cuba, the country has changed drastically. Outside influences and investment have infused the island. But in many ways Cuba doesn’t seem to have as changed as much as the rest of the world. After all, remember that Cuba—or at least when we last went there—still does not have commercial advertising. Billboards only advertise the revolution. I don’t think I’ve ever visited another country in the world that does not have commercial advertising. RNW: Every time we visit Cuba, I’m struck by the soulfulness and humanity and persistence of the Cuban artists whom we know, most notably the photographers Leysis Quesada Vera, a single mother who recently has been documenting her two daughters, and Raúl Cañibano, a poet with a camera.